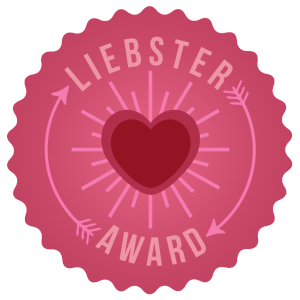 Have you ever heard of the Liebster Blog Award? Liebster is German and translates as Favourite (… Blog Award) into the English language. Nominations are made by bloggers for their favourite writers. Once you are nominated, you simply answer the questions sent to you, nominate another 6 writers, ask them 7 questions and let them know. Lovely Patrycja from Travel Opulent Box was so amazing to nominate me for the Liebster Award. Thank you so very much Patrycja. 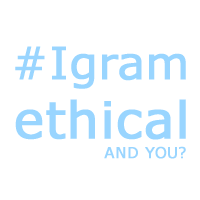 It is great fun to participate again (got nominated before) and to get to know what others are up to. What inspired you to blog and what do you like to blog about? While I lived in Australia for many years I blogged about Australia and all the adventures I had. After I moved to Berlin I was looking for a new topic. Blogging is a lifestyle, so after years and years of blogging it became part of my life and I could not just stop. You might have heard that Berlin is the place to be right now, and I often hear people complaining about tourists. I had no idea at all how superior some people feel in the traveller versus tourist debate. I believe in equality, and no matter whether someone is a nomad, a white socks wearing package-tourist or a smelly traveller with a longing for enough pocket money, I love them all in the same way. We might have different values but we all love to get to know the world. Touristin is the German word for a female tourist. The articles on THE TOURISTIN are about camping and cooking in the bush, going on road trips, as well as visits to galleries and museums or eating at great restaurants. I often even buy shoes or food items when travelling. If it is marvellous, and be it in the bush or in a fantastic major city or small hamlet, I share everything I find with my readers. There is no niche topic on my blog. I can't narrow my interests down to just one thing, it is unhealthy and I am not starting to live a dull life. First place that springs to my mind is Cape Town. As long as I can go somewhere I am happy really. Right now I dream of Rwanda, to see gorillas, the McNeil River in Alaska or British Columbia in Canada to see bears, and Antarctica to see penguins. But I would also love to travel to Lapland in winter to see the Northern Lights and Reindeers. Also on my list is a road trip to Mozambique. For years I wanted to visit the iSimangaliso Wetland Park in South Africa. And then there is Scotland where I would like to go hiking. In Mongolia, I would love to sleep in a yurt. Hotel or Camping? And Why? If I would have to decide between these two options I couldn’t, not even if my life would depend on it. I love camping in the bush like in Botswana and the sense of freedom that comes with it. I also love boutique hotels in centre of town, like this one in Florence, close to museums, shops and lovely eateries. Tell us about the most memorable holiday you’ve ever had? Fiji. Shooting stars at dinner time. Kayaking in the bluest water. Ukulele players at breakfast. One word: heaven. Hm, or shall I answer Tankwa Karoo in South Africa? Tell us about the worst travel experience you’ve ever had? Of course do I occasionally experience things like taxi drivers with a manic driving style, or delayed flights because of weather conditions and lost sports equipment or similar but I tend to forget all of these things. As long as no one gets sick, everything is excellent really. Favorite Social Media and why? I love Twitter, a lot. Come over and connect with me. It is a great place to talk to people from all over the world and to catch news first. The world becomes a pretty small place (in the most positive sense). Same goes for Instagram. I use both platforms to network and to learn as much as I can about the things I am interested in. It saddens me to see how many people automate or schedule posts. It is silly that they take away the social side from Social Media. Scheduling things is about gaining a fan base (and to be famous for five minutes) and not so much about engagement. I love both platforms for socializing and exchanging experiences and news. Favorite thing about your home country is? The very best thing about my home country is its close proximity to pretty much any country in Europe. And I would like to ask the following 6 writers these 7 questions. Thank you so very much in advance. I can't wait to hear your answers. 4. What would need to happen before you give up travel? 6. Last time you felt truly cheerful? 7. Please let us know what three skills make life easier for a travel writer/blogger? Sam and Zab from Indefinite Adventure. Sarah and Kris from Jetsetting Fools.